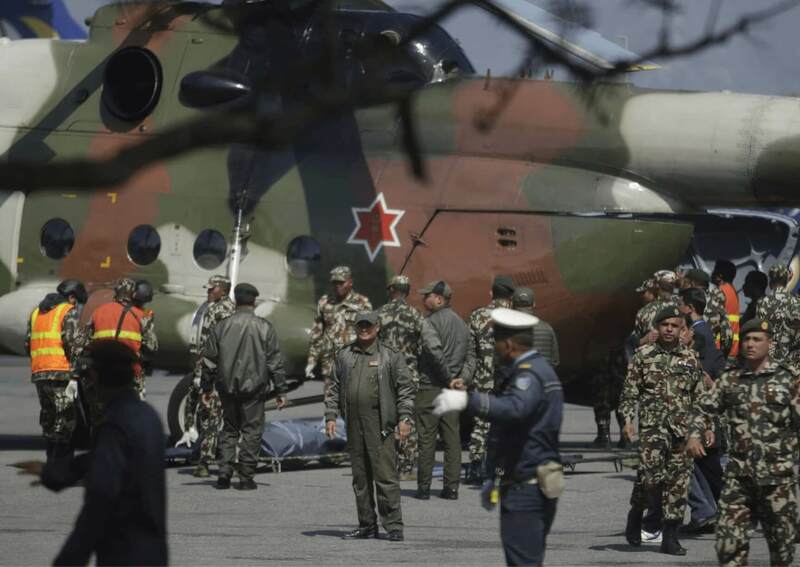 The body of Tourism Minister Rabindra Adhikari arrives at Kathmandu Airport on Thursday afternoon. 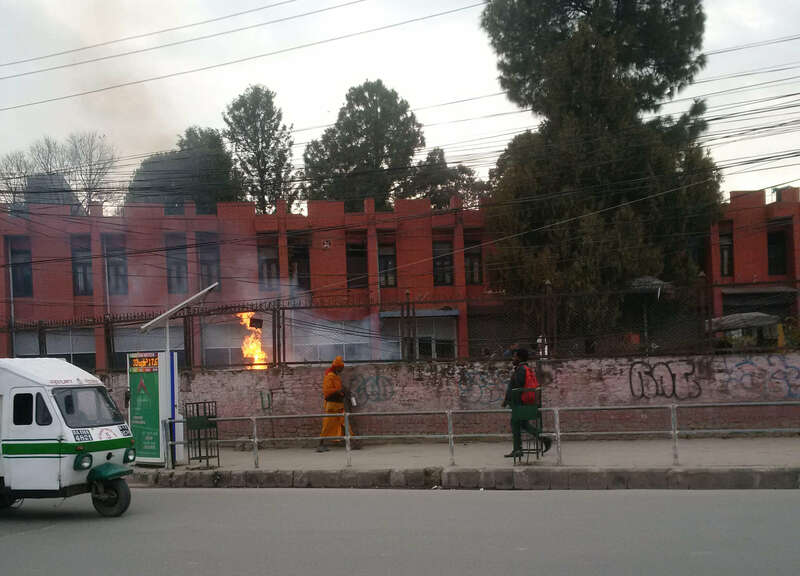 He will be cremated in his hometown of Pokhara. 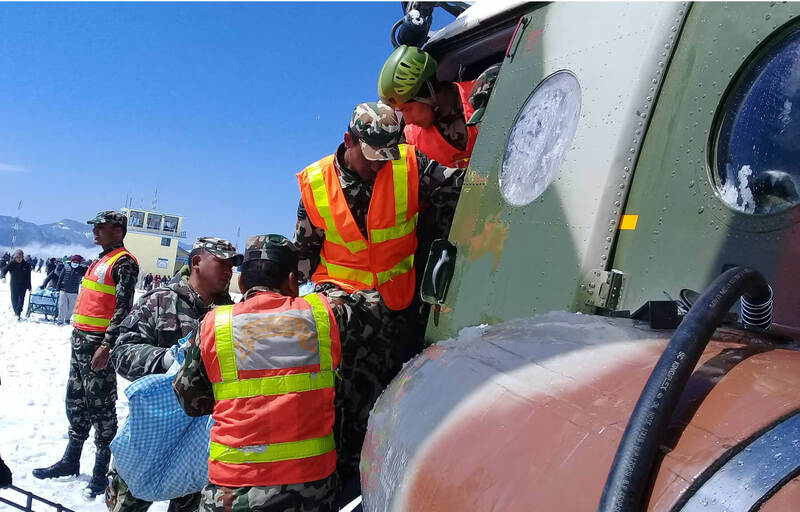 The bodies of Tourism Minister Rabindra Adhikari and other six passengers who were killed in a chopper crash in Taplejung on Wednesday are loaded on a Nepal Army helicopter on Thursday to be flown to Kathmandu. 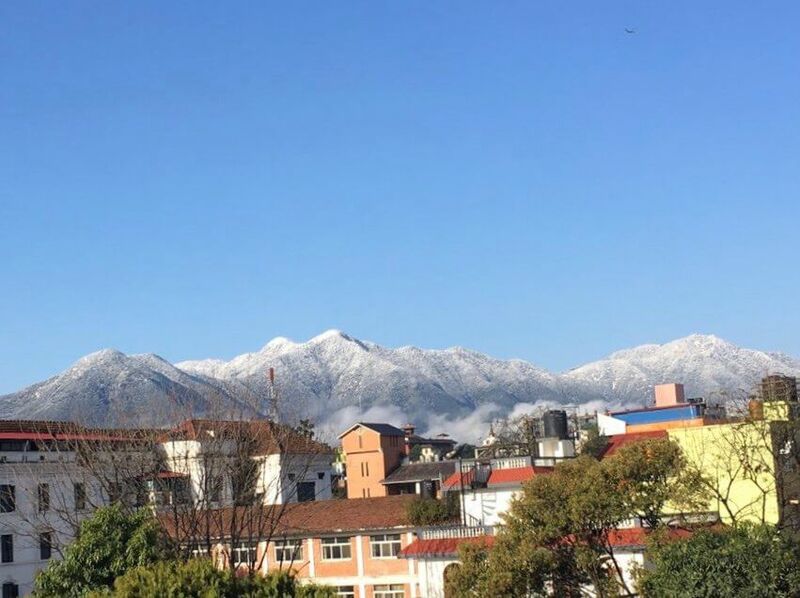 Heavy snow blankets Champadevi-Chandragiri peaks southwest of Kathmandu as the weather begins to clear after two days. 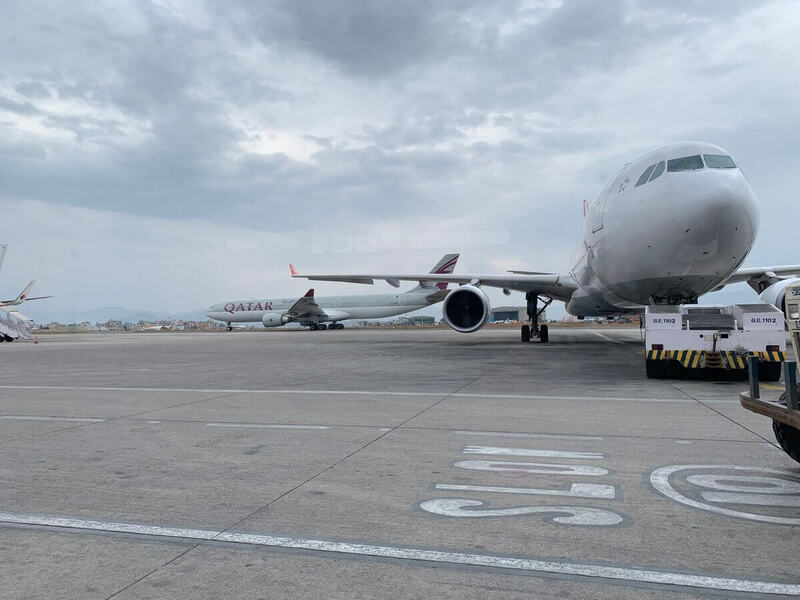 Qatar Airways and Turkish Airlines at Kathmandu airport apron affected by closure of India-Pakistan airspace due to escalating tension. 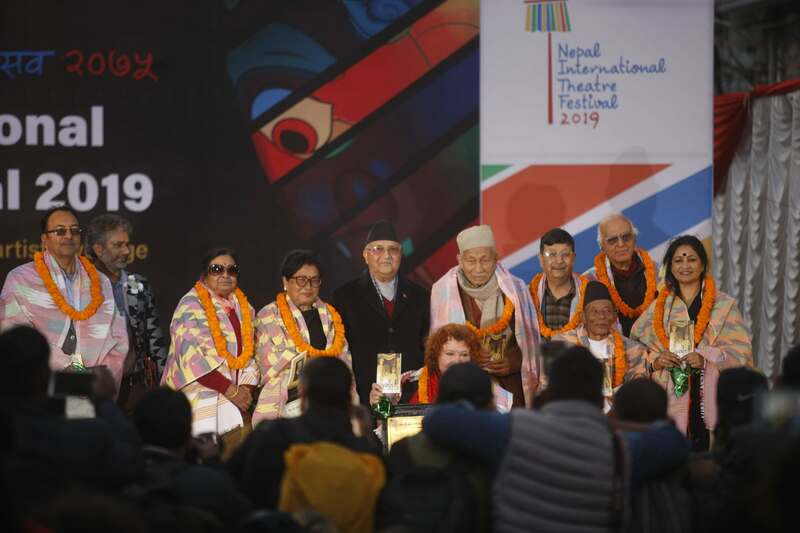 Prime Minister KP Oli felicitates 12 senior members of the theater community including Satyamohan Joshi, Prachanda Malla and Abhi Subedi at the inauguration of Nepal International Theatre Festival 2019. 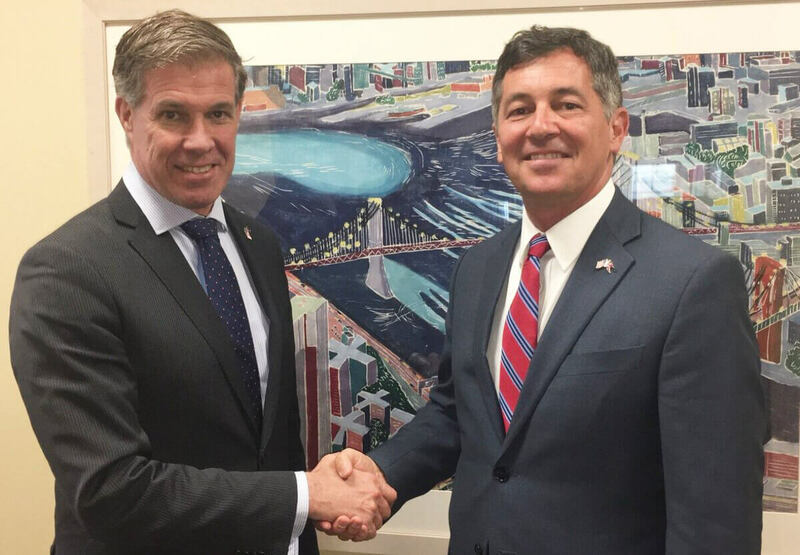 US Ambassador to Nepal Randy Berry welcomes Deputy Asstant Secretary of Defense for South and Southeast Asia Joe Felter in Kathmandu on Monday. Felter is the senior most defense policy visitor to Nepal in the past 8 years. 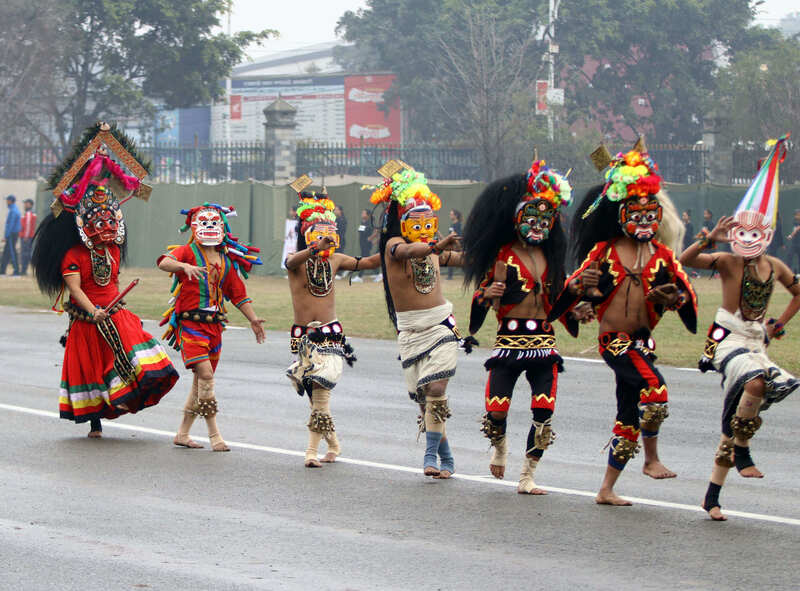 69th National Democracy Day celebrated in Tundikhel of Kathmandu with cultural processions. 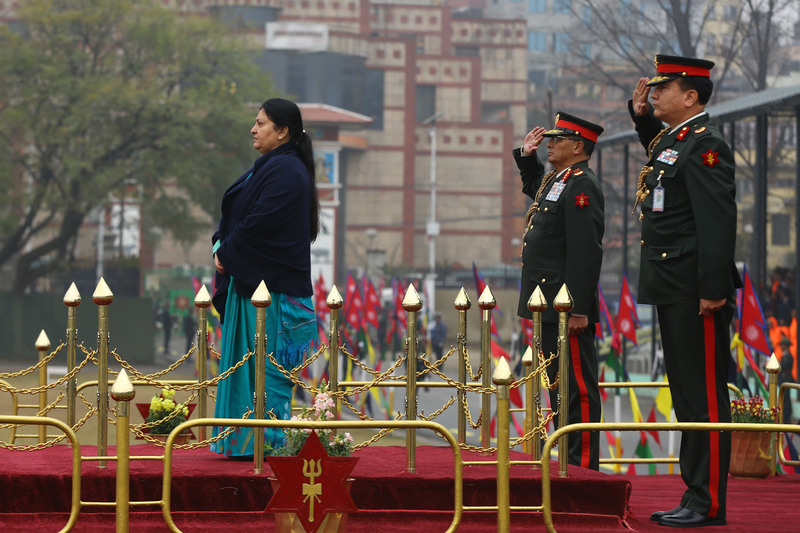 President Bidyadevi Bhadari participates in the celebration of 69th Democracy Day on Tuesday at Tundikhel of Kathmandu. 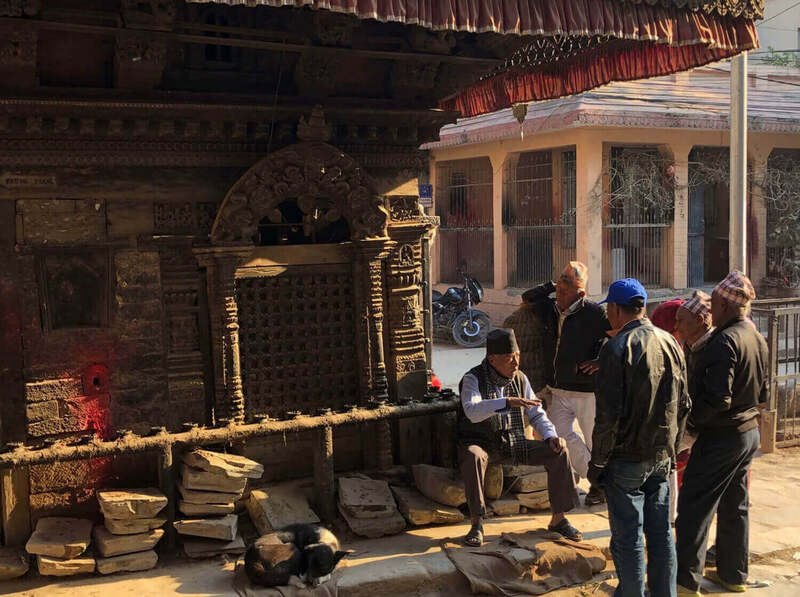 Patan neighbours meet up at a temple as a pale winter sun comes out after days of overcast skies and rain in Kathmandu Valley. Children of nomadic Raute community practice writing and drawing in Lekbesi municipality of Surkhet. Rautes are becoming attracted to education of late. 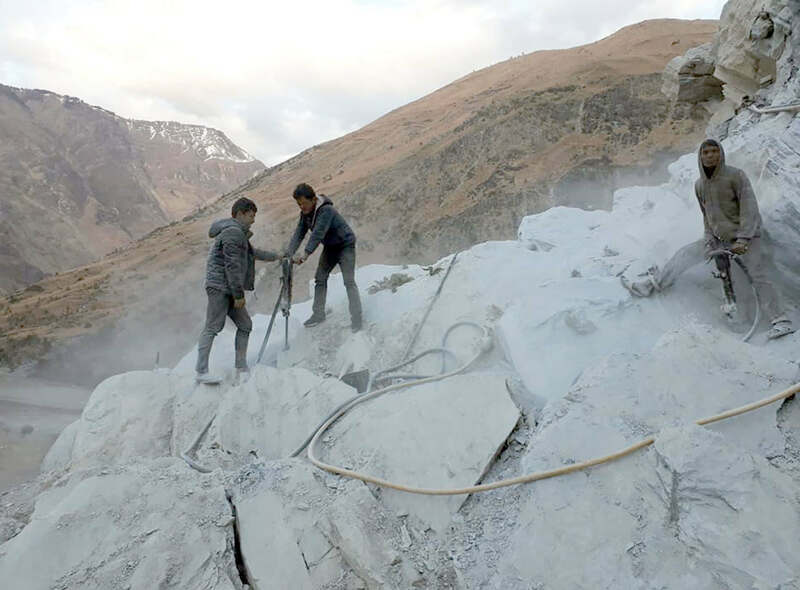 Construction workers building a section of the Karnali Corridor at Bajura. 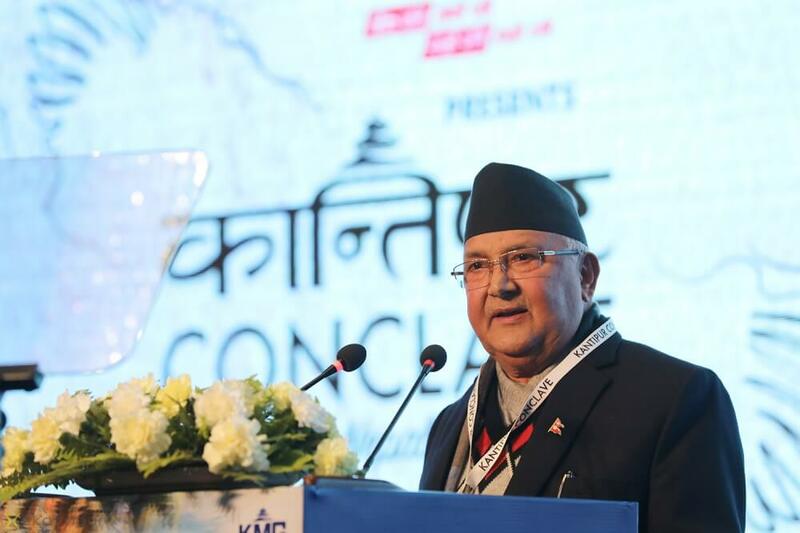 Prime Minister KP Sharma Oli inaugurates the Kantipur Conclave in Kathmandu on Sunday. 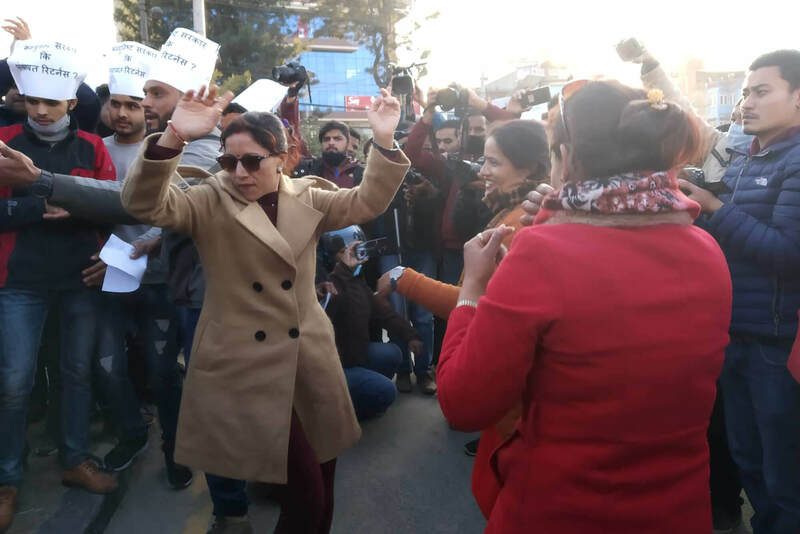 Demonstrators were out in force on Sunday afternoon at Kathmandu Mandala to dance to the YouTube music video after singer Pashupati was forced to take it down following threats by ruling NCP cadre. A zero-emission electric three-wheeler passes a solar-powered pollution measurement station, while a government office in Lazimpat burns its rubbish in the open. 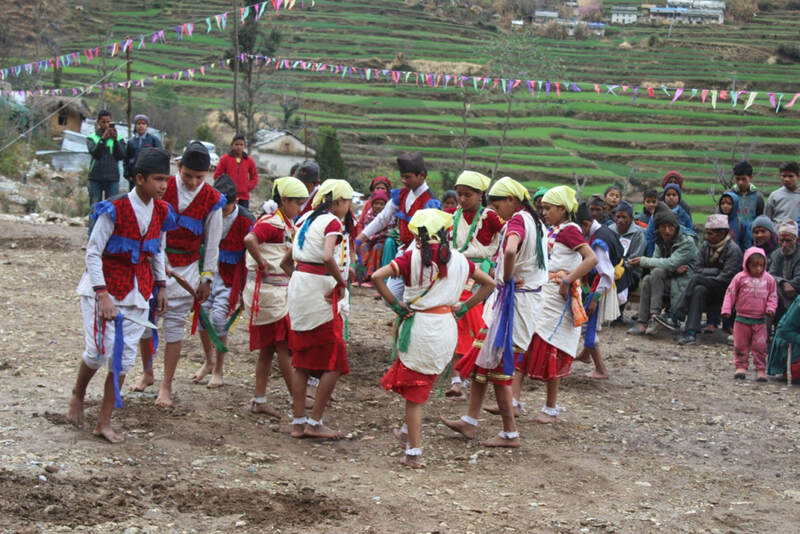 Students of Jalpa Higher Secondary School perform a dance at the inauguration of a Health Post Building in Pinalekh of Badimalika - 1 in Bajura district. Tourism Minister Rabindra Adhikari meets with European Union’s Ambassador to Nepal Veronica Cody, British Ambassador to Nepal Richard Morris and other EU Ambassadors to share about the progress in the Civil Aviation Bill. 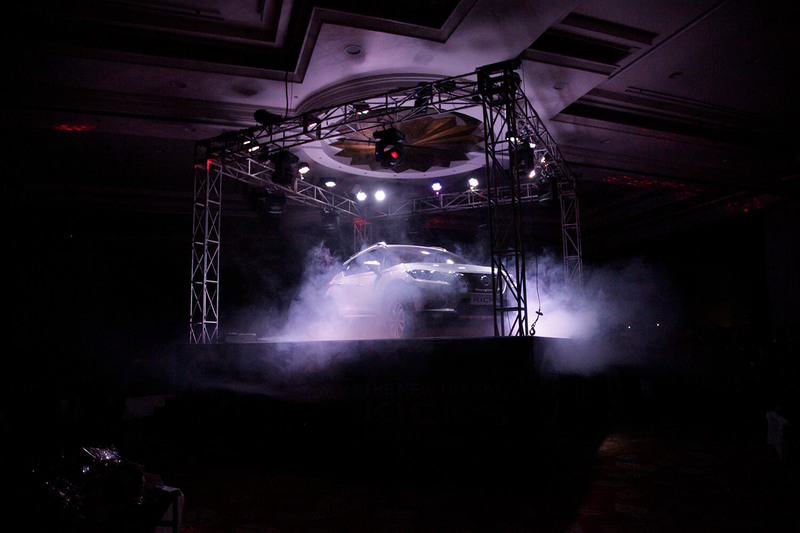 The Bill segregates Regulatory and Operational bodies in the CAAN among other issues. 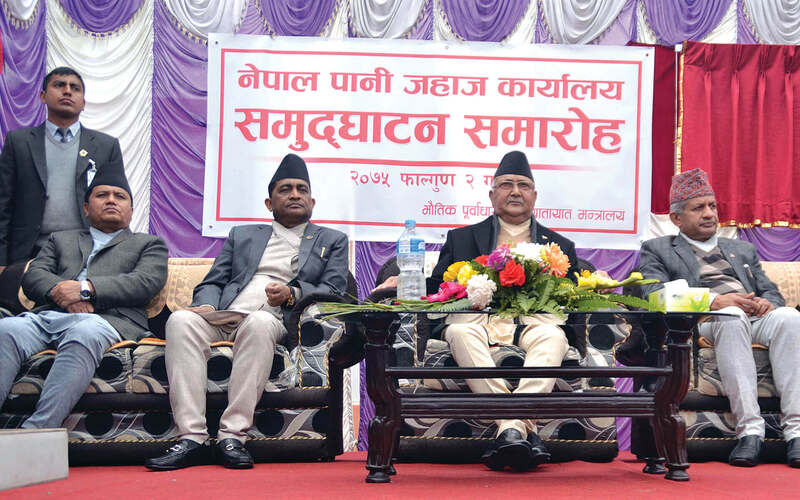 Prime Minister KP Oli inaugurating Nepal's first maritime shipping office in Lalitpur on Thursday. 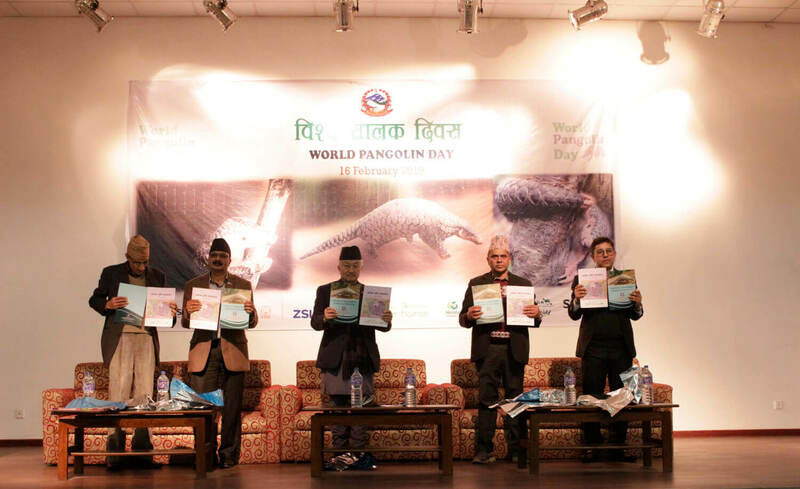 Minister of Foreign Affairs Pradeep Gyawali, Minister of Tourism Rabindra Adhikari and Infrastructure Minister Raghubir Mahaseth attended. 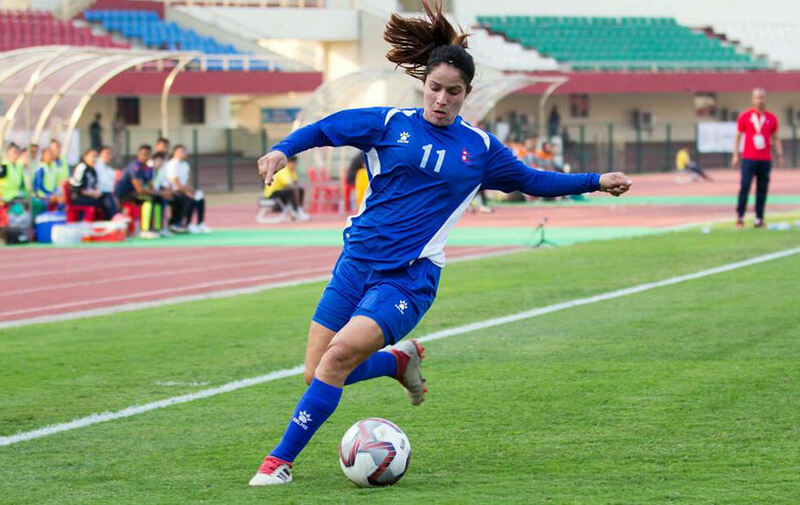 A Nepali striker in action during a match against Iran in the Hero Women's Gold Cup being held in India. Nepal thrashed Iran 3-0 on Wednesday and stays in contention for the final. 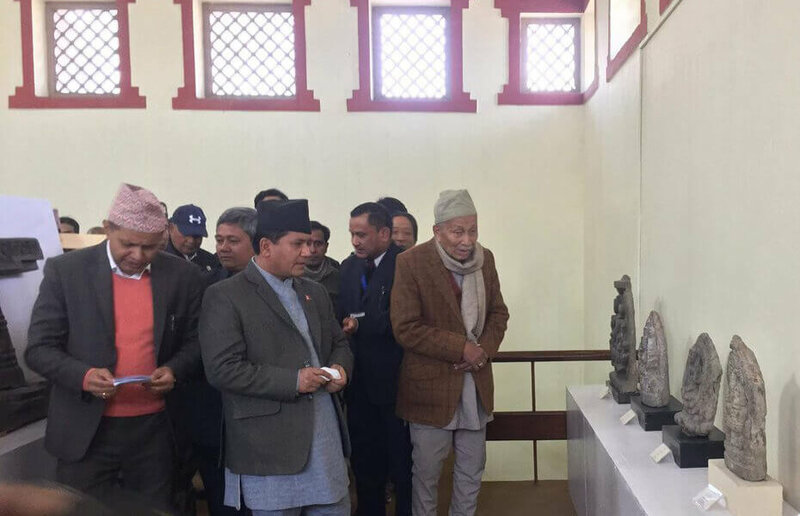 Tourism Minister Rabindra Adhikari, culture expert Satya Mohan Joshi and officials of Archaeology Department visit Chhauni Museum on Wednesday to mark 80 years of its establishment. 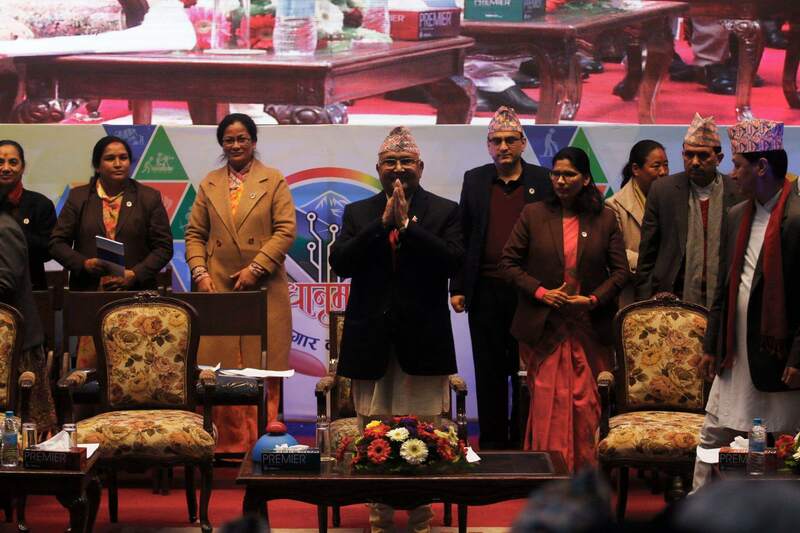 PM KP Oli inaugurates the Prime Minister Employment Program in Kathmandu on Wednesday. The program will begin by establishing Employment Service Centres to collect unemployment data. 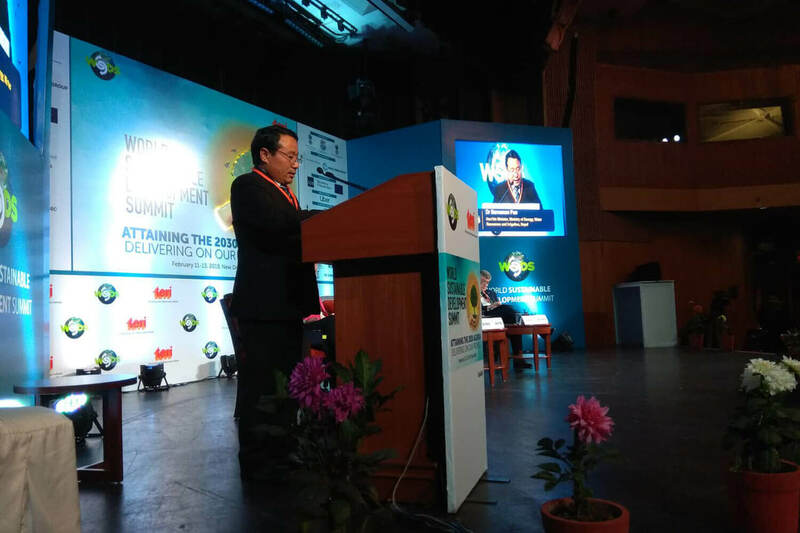 Minister for Energy, Water Resource and Irrigation Barsaman Pun on Tuesday address the World Sustainable Development Summit being held in New Delhi, India. 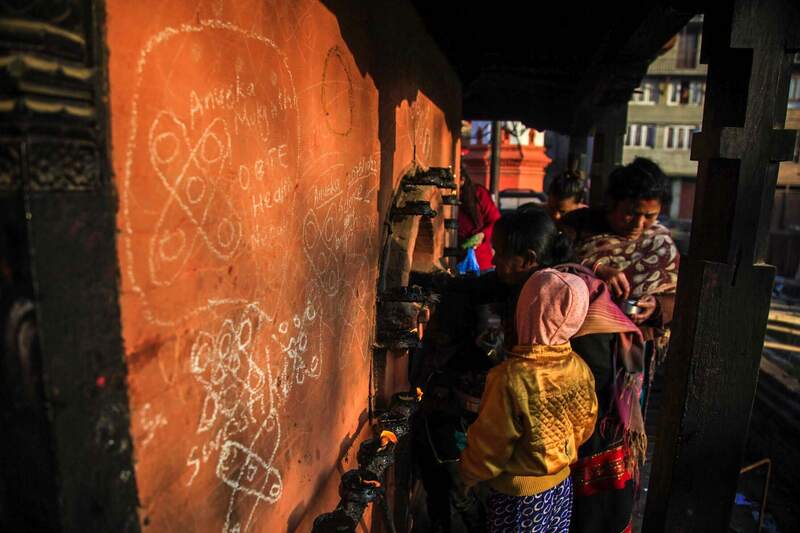 Children in Bhaktapur offer prayers to Saraswati, goddess of knowledge on the occasion of Shree Panchami on Sunday. This day is thought to be auspicious to begin new ventures involving art, craft and learning.